As already mentioned in a previous post, we are supporting Ineke Buskens and her team in the pre-conference to this year’s biggest ICT4D/ICTD conference – ICTD2010. Everybody has the chance to participate there and we’re especially interested in “voices from the South” about what ICT4D/ICTD should and shouldn’t be. The texts sent in will be discussed in an own session at ICTD2010 conference, so even when you can’t come physically, you can make your voice heard! In my work with gender researchers who are exploring relationships between women’s empowerment and ICT, I see ICTs as additional tools at women’s disposal. These are tools that could, can and do increase our ways and means of communicating. […] We can design and use them to reinforce and expand our efforts to imagine and create a better world for women, a more equitable globe for all, environmentally sustainable socio-economic systems, and so forth. So if you’re hungry for food for thought – just check out the ICTD2010 pre-conference platform, read the texts, comment on them (discussion pages are open to everyone) and if you want to have your own text published, send a mail to Ineke Buskens or me. ICTD2010 Pre-conference – we want to hear your voice! In the run up of the biggest ICT4D / ICTD conference this year – ICTD2010 in London – we have been supporting the organizers in setting up a pre-conference platform. The aim of this platform is to give people who can’t participate at the conference the possibility to share their ideas and to “raise the voice of the South“, listening to the needs and critical voices of people affected by ICT4D / ICTD. People can send in one-pagers which will be posted and then discussed – first on the platform and finally also at a session of the ICTD2010 conference. what does development actually mean in ICTD? Does ICTD mean development of ICTs for the developing world? Does it mean developing markets for ICT products and tools in the developing world? Or does it mean engaging development with and through the use of ICTs in and with the developing world? to contribute by sharing what they really and passionately want to share, having a southern perspective in their focus and the interest of the South in their heart, whether they are located in the South, in the North, or in both. 1) What are the ICT4D Research Needs in the developing world from a developing world perspective and why would you think so? Please be concrete and specific and go beyond general categories such as ‘health’, education etc. 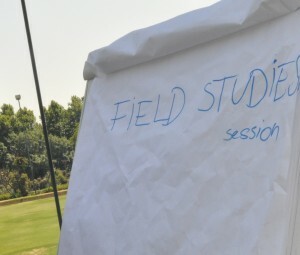 2) What action projects have taken place in the developing world that were actually successful research projects, in the sense that they met a real need in a real way (and hence acted on valid and appropriate tacit knowledge) but did not have the ‘knowledge quest component’ worked out enough in their narrative to be recognized as research? Can you come up with examples and sketch what you think the knowledge quest would have been if it had been made explicit from the start? So if you have answers to the questions and if you have something to say about these topics, please send in one-pagers to Ineke Buskens (ineke@researchforthefuture.com) or Florian Sturm (florian.sturm@ict4d.at) and join the discussion on the platform (the Discussion section is open for everybody). We are looking forward to your input. A few days ago I attended a talk by Jeanette Blomberg at the University of Technology Sydney (UTS). Jeanette worked at Xerox PARC in the 80s and is currently at IBM research. The talk was about ethnography and design, based on her experience from working as an ethnographer in a technology context for the last 25 years. Since ethnographic research is really relevant for the design of ICT4D solutions and probably most of our readers have used ethnographic methods themselves in their work before, I decided to post a short summary of my notes here. She further emphasized how ethnography should be seen as a collection of multiple methods for collecting data, including informal interviews, observations, self-reporting, video analysis, artifact analysis, etc. It’s also important to “adjust as you go”, since ethnography is a very improvisational approach, which requires iteration. This is a very important issue in my opinion and something that I personally often find difficult to implement in an academic context, where you have to define your research approach in detail beforehand. Another interesting insight that I took away from this presentation was that participatory design (PD) is often used as ethnographic method, meaning that ethnographers don’t only observe people without interfering (one of the myths about ethnography), but also involve them in the design process. Apparently a joining of PD and ethnography happened in the middle 80s. PD in an ICT4D context has been done (e.g. for developing community radios), but as Gary Marsden said during a session on mobile interaction design at last year’s MobileActive conference, it often doesn’t work to involve users for informing the design process in developing countries. Or more specific, the context and hence the requirements are different to developed countries, where PD and user-centered design (UCD) have been successfully applied and explored for many decades. Thanks to Jeanette Blomberg for this really insightful talk and thanks to UTS for organizing the event. 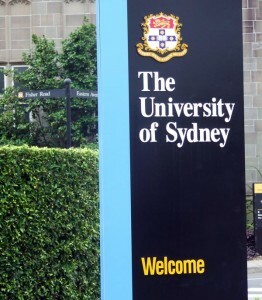 As some of our readers already know I moved to Sydney in the beginning of this year to join the Faculty of Architecture, Design & Planning at the University of Sydney. Since my position involves teaching as well as research (40% of my working time as I learned today), I will also push forward research on ICT4D (in the context of interaction design and HCI) as one of my research streams. The group where I’m working also just started a very exciting master program, called M.IDEA, which stands for Master of Interaction Design and Electronic Arts. Check out the program here and an interview that I gave recently here.